An enormous castle, for its dimensions as well as its history. It stands at one hundred meters above the town, and has an enclosure over two hundred meters in length. It dates to the 10th century, as a Muslim fortress, intended to constitute a military city. Among its ruins we can find four consecutive enclosures, from the entry point. The most exterior area was set aside as a refuge for the town people. The interior enclosures were dedicated to residential and storage uses. In some places the walls reach a width of twenty meters, a result of later reforms. One of the most important of these was in the 15th century, which adapted this medieval fortress to artillery use, making it more resistant to cannons. During the Carlist wars, the castle underwent a profound transformation, with the intention of re-converting it into an artillery stronghold. You arrive directly from the same town, and the entry is free. 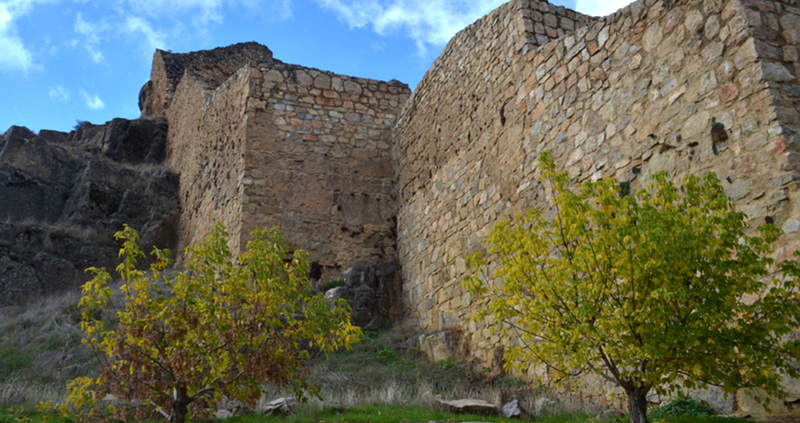 The city wall of the town is of Caliph origins, with Christian reforms. 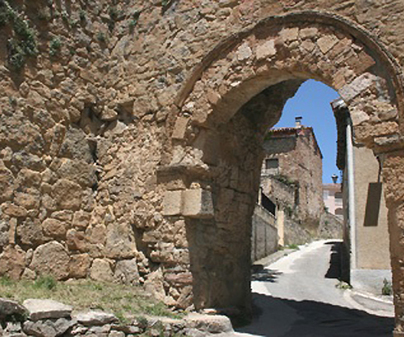 ThePuerta de las Eras(Gate of the Ages) has a horseshoe-shaped arch, belonging to Islamic art.